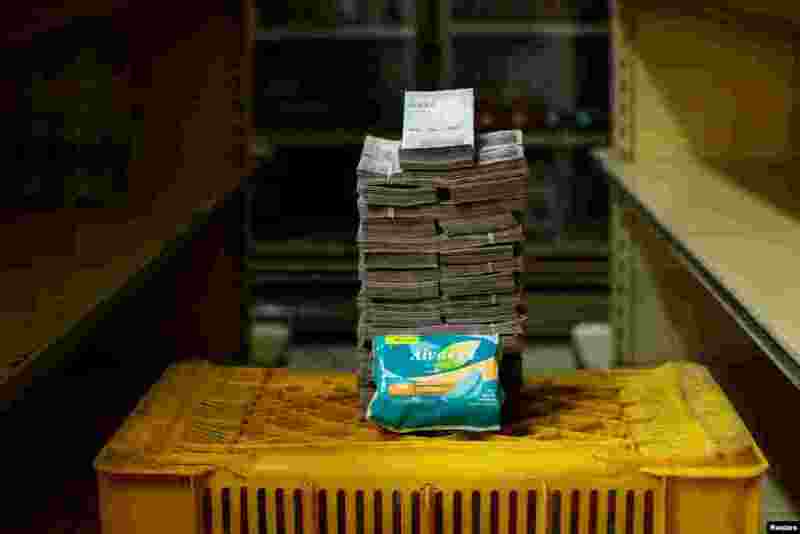 A severe economic crisis in Venezuela has left its currency, the bolivar, nearly worthless. Hyperinflation since the beginning of 2018 has devalued the currency to the point where stacks of money are needed to buy simple necessities. 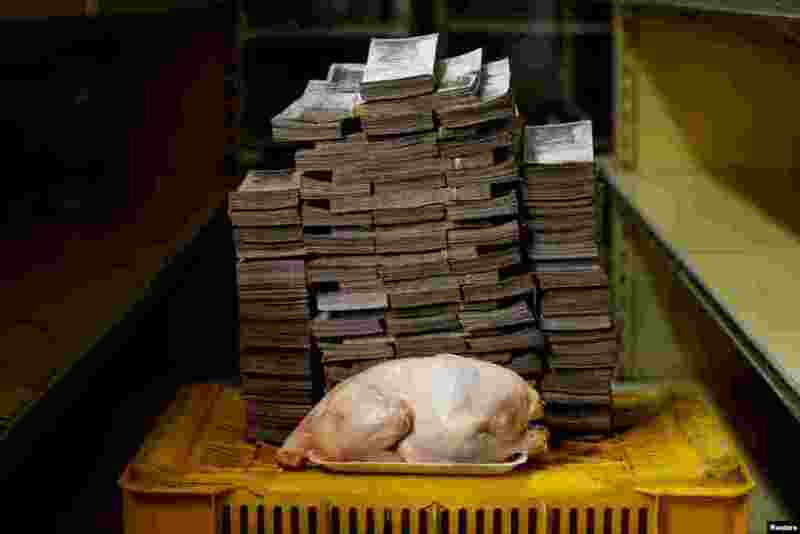 1 A 2.4 kg chicken is pictured next to 14,600,000 bolivars, its price and the equivalent of $2.22, at a mini-market in Caracas, Venezuela August 16, 2018. 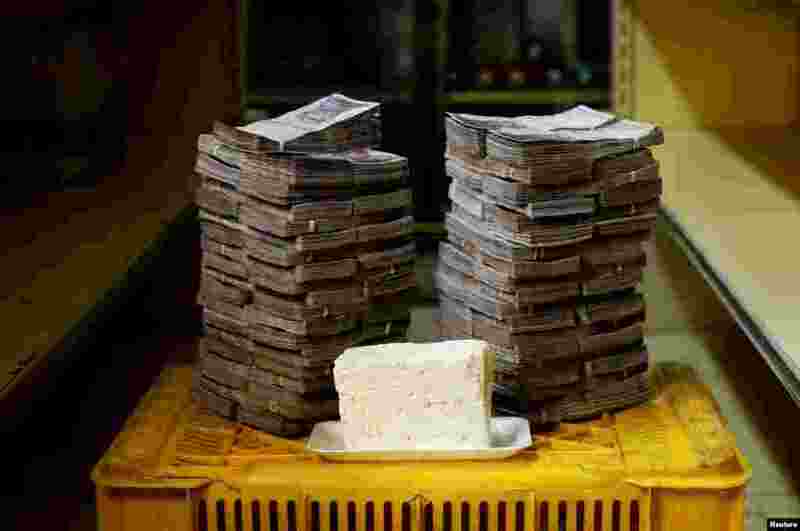 2 A bar of soap costs 3,500,000 bolivars, the equivalent of $0.53. 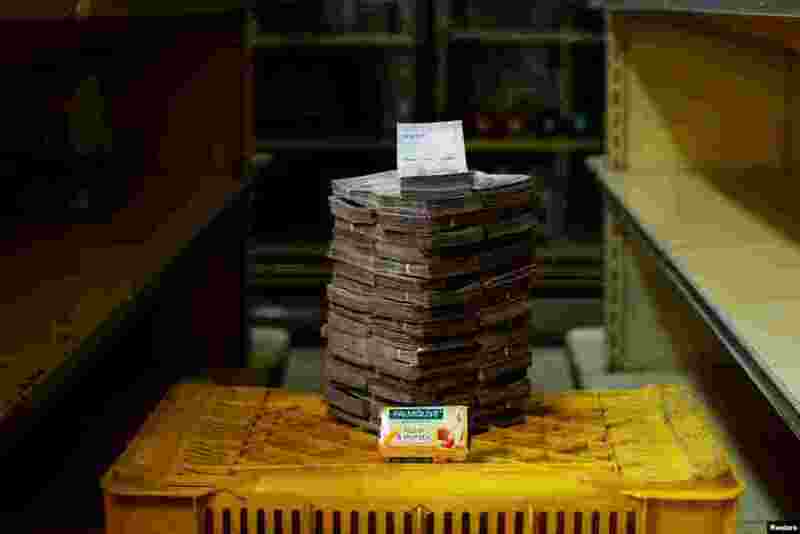 3 A kilogram of cheese is pictured next to 7,500,000 bolivars, the equivalent of $1.14. 4 A package of sanitary pads is pictured next to 3,500,000 bolivars, the equivalent of $0.53.